The 2017 email marketing awards are here!We have curated and collated some of the most scrumptiously digestible, perfectly productive, and incisively innovative blogs to help you create successful email marketing campaigns.The digital marketing world has seen significant changes in recent years. As content marketing continues to prove itself as the most valuable source of customer engagement, savvy marketers are recognizing email as the best medium to promote relevant, targeted content to customers. 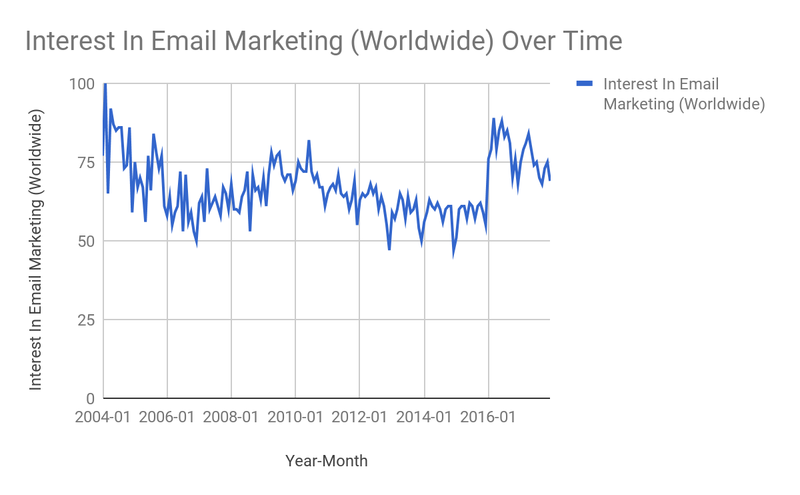 (Source: trends.google.com)Email’s widespread use is why it is so effective as a marketing stream. 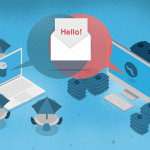 Nonetheless, because emails are a regular part of everyday life, it can be hard to stand out of the crowded inboxes of your recipients.As marketing expert Neil Patel says, ?You have to be able to adapt quickly. If you aren?t able to adapt to market changes, someone else will.? And though we would all love to be infinitely creative in our work, sometimes we just need a little inspiration and guidance, or knowledge of what our competitors are doing, so that we can stay ahead of the game.Keeping your finger on the pulse of the hottest marketing trends and tactics though, is enough of a challenge for entire teams of researchers. If you are a business owner, in-house marketing specialist, or just a single person within a marketing team, you do not have the time to spend your days crawling the web to get the solutions you need. There is a reason why Google is the most used website in the world?it filters and collates the highest quality, most relevant resources, so you don?t have to.As a marketer (and if you are a one-person company, you are a marketer), you need to find the most relevant, highest quality, and clearly presented information you can, fast. You want to focus on creating your campaigns and ensuring their success rather than spending half your time brainstorming ideas. Quick turnaround periods and short deadlines don?t always give ample time to generate original ideas for every part of every campaign we send out. Sometimes you just need to know what works.The email marketing awards have been established by DirectIQ to provide marketers (both professional and driven by necessity) with the best sources of relevant, innovative, informative, and authoritative content on email marketing. ?Here be treasure,? we say, as explorers gathering riches from the high seas of the email marketing world. (Source: Author’s screenshot)HubSpot has positioned itself as a vanguard of inbound marketing. Over a decade of successfully producing content and solutions for businesses, they have grown into one of the leading authorities in the digital marketing world. Their blog is an essential resource for anyone looking to keep track of the latest email marketing ideas, techniques, and successes. Not only do HubSpot writers recount, describe, and explain, they go further than this to add unique perspectives to how individual practices contribute to the evolution of wider inbound marketing culture. 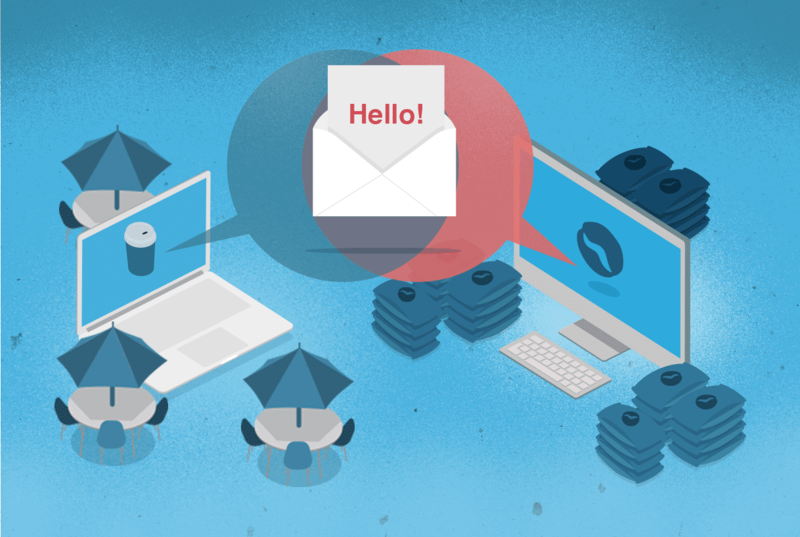 Their posts often lean toward the goal of better deploying email campaigns to meet customers? needs. (Source: Author’s screenshot)If you are looking to create better email campaigns and you need some inspiration, look no further than Really Good Emails. With an image gallery as well as an instructive blog, it is like Pinterest for email marketers. 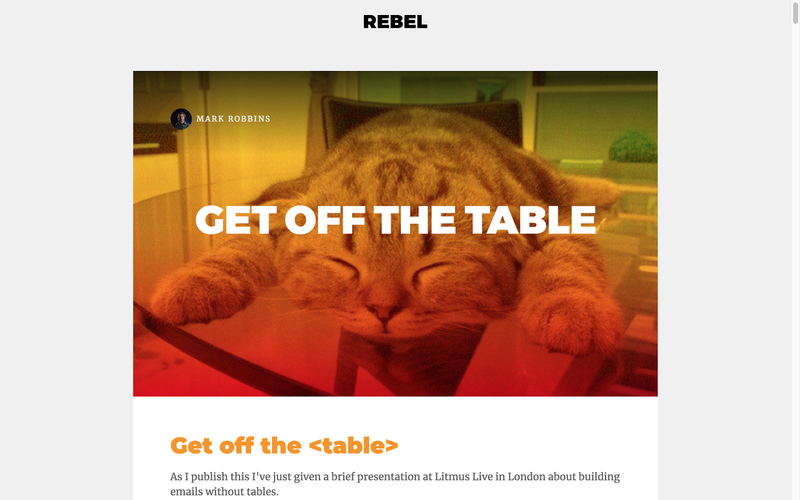 There are hundreds of email examples for you to explore and draw aesthetic insights from. Blog posts come in the form of didactic explanations of successful design processes and why they work (or don?t). This is perfect for designers but we could all benefit from being a little more aware of the standards our emails have to meet to compete with the best. 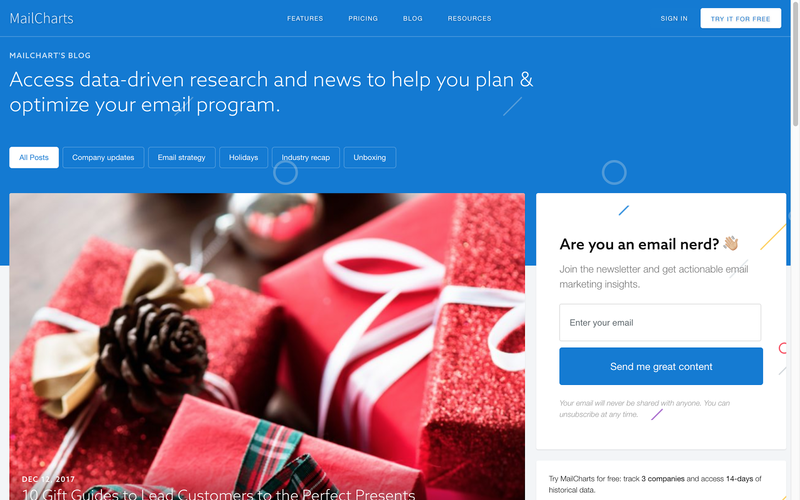 (Source: Author’s screenshot)A MailCharts subscription allows you to access detailed examples of email campaigns from a diverse selection of brands and exclusive data on their performance. As well as general guides and ?how-to’s, their blog is full of analytical and evaluative posts that make the most of MailCharts? 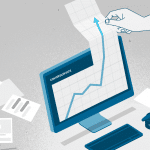 data, to better understand what makes a successful campaign. 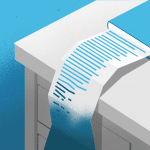 Data-driven and packed full of usable statistics, this one is a must-read for anyone wanting to see how a real, big-brand email campaign plays out. (Source: Author’s screenshot)If you are a digital marketer, you probably know about Campaign Monitor. Similar to HubSpot, they are a leading authoritative resource for all things digital marketing. 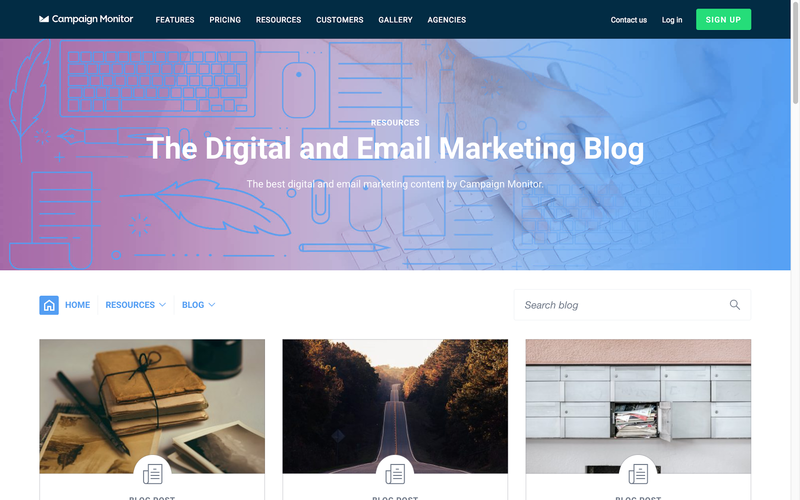 The Digital and Email Marketing section of their blog aims to be highly actionable, with posts that turn advanced email marketing methodologies into step-by-step guides to help you understand and implement them within your own campaigns. It is a critical source not only for advice, but also for the development of a more ethical marketing culture. They lead by positive example, making significant contributions to raising the bar on how we conduct ourselves as marketers. (Source: Author’s screenshot)Actionable advice regarding formal and technical elements of email creation abound. 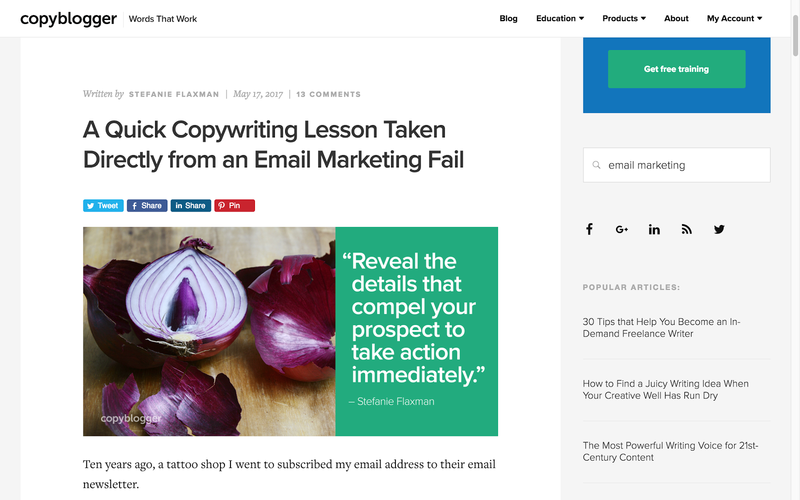 But even seasoned copywriters can struggle with what to write within the text-driven email format, to engage their customers in way that gets their brand noticed. 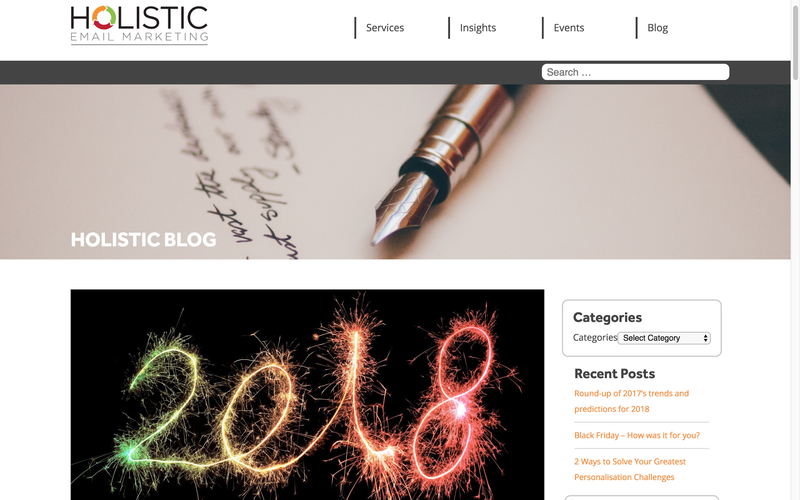 On top of a wide selection of exemplary content, which informs on all aspects of content marketing, a large majority of their blog posts cover the intricacies and nuances of not only what to write, but also how to write it. Their own successes as a content-driven business, show through their expert handle on the influence that your written content can have on the recipients of your emails. (Source: Author’s screenshot)The marketers at MageMail write exemplary content. They are very good at creating structural variation as the reader moves through the page. Charts, examples, lists, quotes, and statistics, all work together to tell us, even at a glance, they have done their research. Additional media also help to make these posts clearer and more enjoyable to read. You will find reams of email marketing goodies here, backed up by data and explained by people who know all about succeeding in the marketing sector. This is a particularly useful blog for e-commerce store owners because it is so incredibly actionable, with many step-by-step guides, downloadable e-books, and checklists, to help you grow your business or just get started. 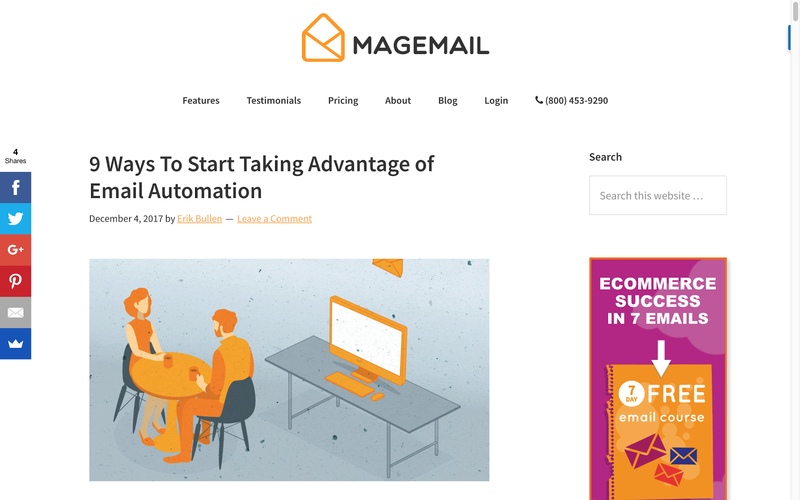 The amazing depth of information that MageMail provide, their use of easy-to-follow language and multimedia content, as well as their gorgeous visual design, are what put this blog in our top 60. 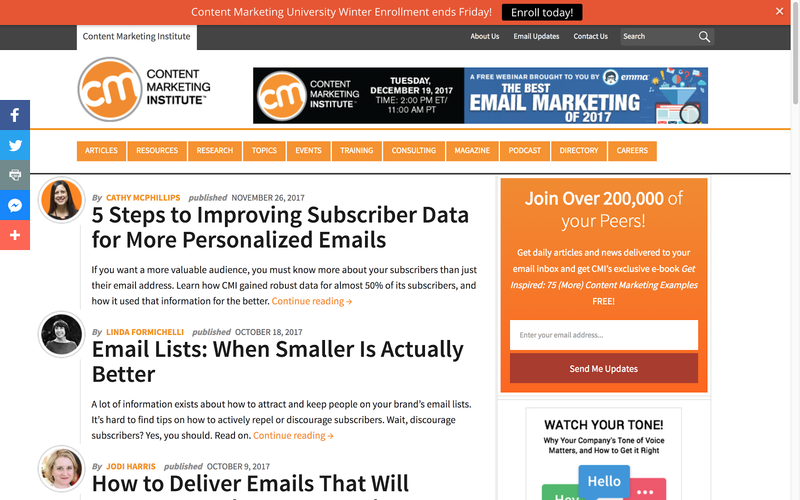 (Source: Author’s screenshot)The Email Experience Council blog is a crucial source of industry news. Though their blog also offers strategic info, tactics, and advice, they work hard to relay industry trends, changes in regulation, and insights and technologies from conferences around North America and Canada. 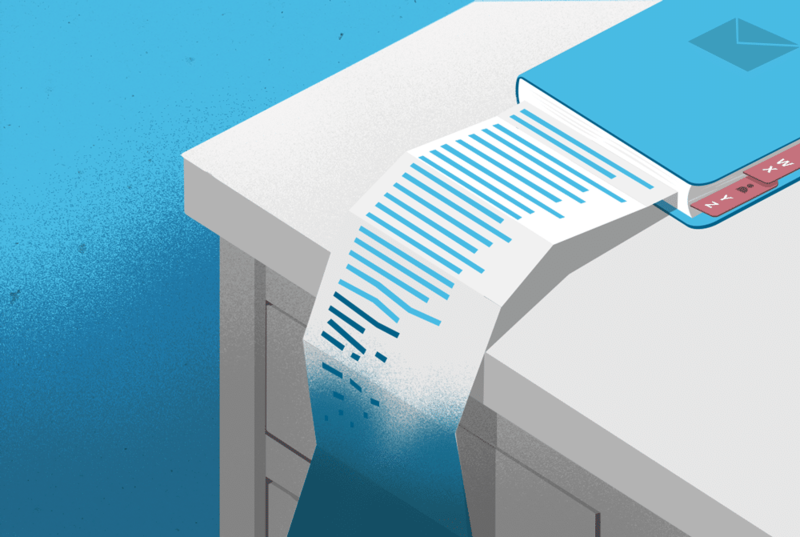 Though they typically publish bi-monthly posts, what they do publish contains key wisdom you will not find anywhere else. This is one for the experienced email marketers who want to stay on top of the most exciting developments and intriguing challenges in the industry. (Source: Author’s screenshot)The Email Monks really are what they say they are. It is a testament to their marketing expertise that their domain name conveys so accurately their educational approach to providing quality content on everything related to email. 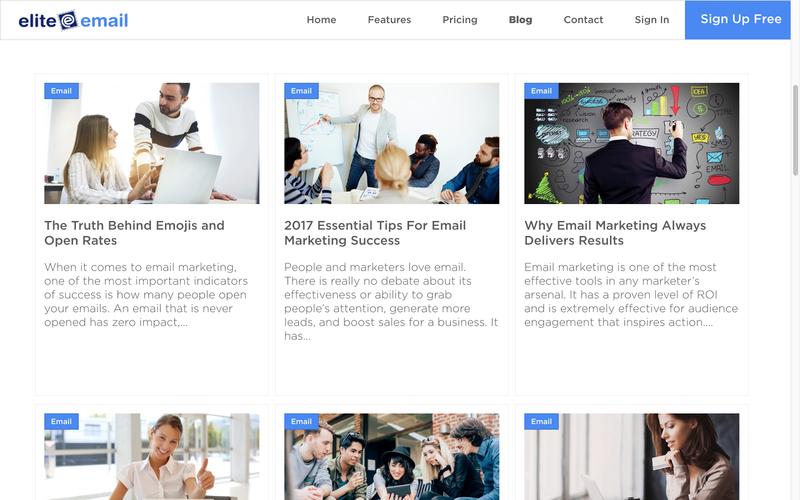 From design-templates for e-commerce entrepreneurs, through to coverage of HTML best-practices for developers, their blog continually churns out winning posts on everything you might want to know about giving your brand a voice by email. Why are Email Monks so successful? Because they take novel approaches to the creative possibilities of email without relying too heavily on the approaches that already work. This blog is perfect if you want to expand your repertoire of ideas for that next campaign. (Source: Author’s screenshot)We have come to expect high standards from the Content Marketing Institute (CMI) and their selection of email marketing posts do not disappoint. CMI’s focus on content means they have a great understanding of customers and what they want. Sometimes as marketers we assume too much, or believe the data tells us everything we need to know. CMI shine a light on issues within email marketing that often go overlooked while always considering the experience of real customers. Although they also provide sterling step-by-step advice, their contributors? discernment of consumer wants and needs is what puts CMI in the top ten. 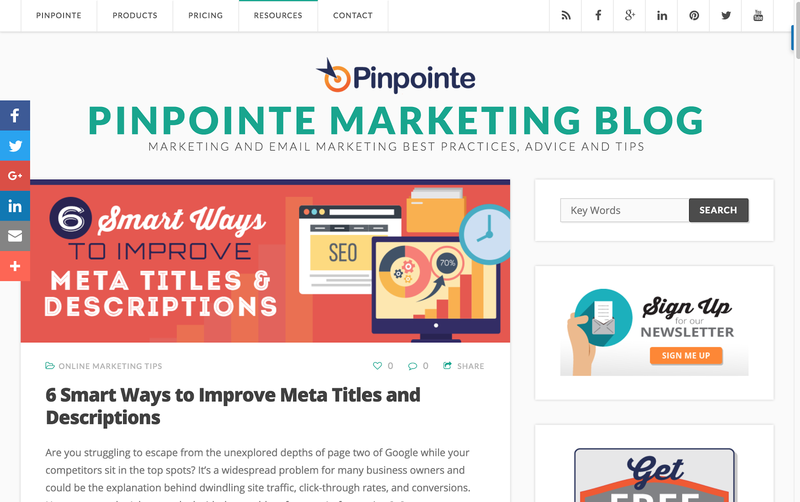 (Source: Author’s screenshot)The Pinpointe blog is a tips and tricks hub for anyone wanting to create robust email campaigns. Their advice is often incisive, targeting how overlooked components of the email format could better serve your primary business goals. From content to design, novel ideas and inspiration can be found for every part of the campaign creation process. This is a great source for growth and optimization tips that not only tell you what to do, but how to implement the information they provide in a way that is tailored to your business and your customers. 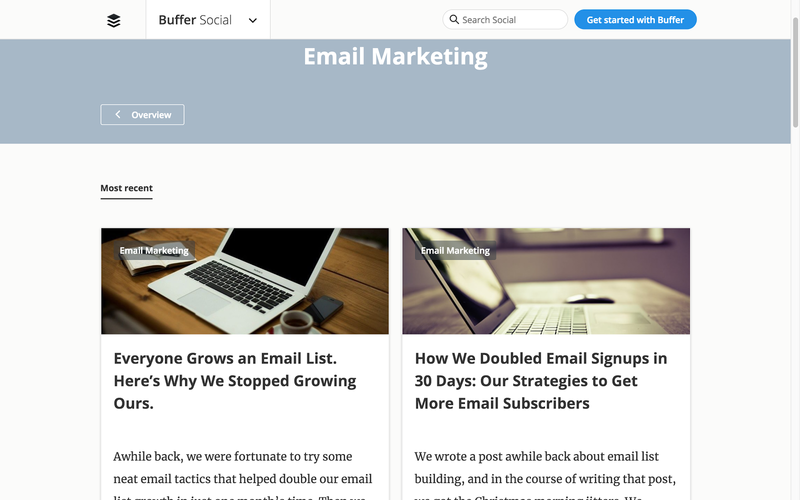 (Source: Author’s screenshot)We could not give you the top email marketing blogs without including some personal bloggers to show appreciation for the grassroots nature and traditions of the blogging format. Though you can hardly call Jordie van Rijn’s Email Monday blog grassroots anymore, the personal insights to be gleaned from it about the everyday practices of digital marketers abound. What is great about Email Monday is it provides creative workarounds for common mistakes and challenges arising in specific email marketing contexts. Not only is this valuable in itself, but each solution gained from these blog posts comes from a first-person perspective so you understand what led to the necessity for a particular approach. 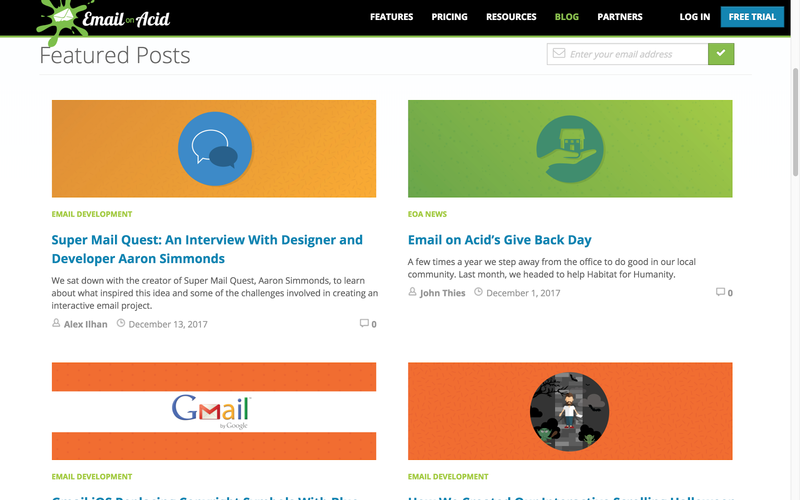 (Source: Author’s screenshot)Email on Acid is a blog that covers all aspects of email-related design. 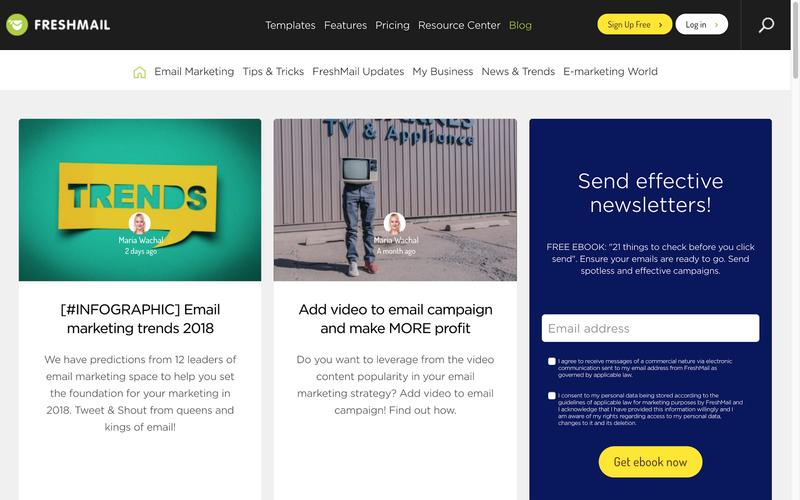 They provide great resources, including templates and examples, for anyone interested in revamping their email marketing offering. 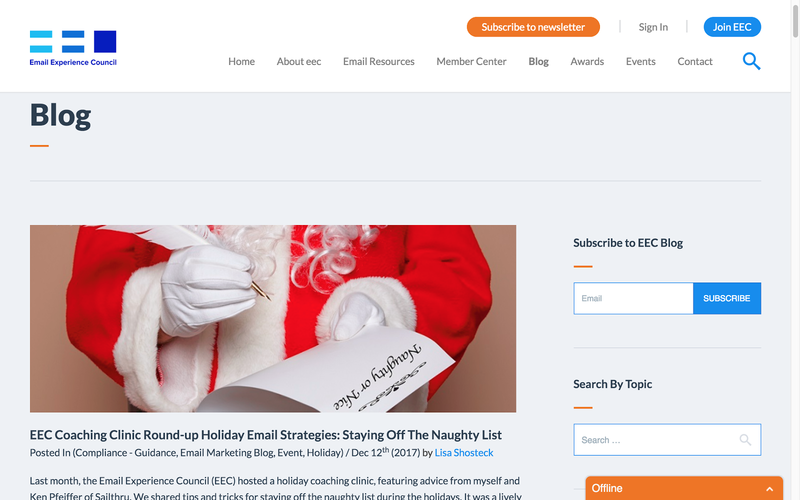 Primarily, this is a blog for marketers who are experienced in designing and creating emails and the processes involved. 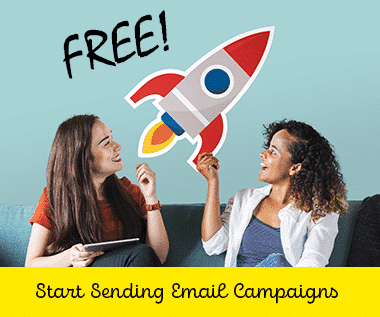 It has swathes of technical information and updates on email development, advice on coding emails cleanly, and how to develop and implement the most exciting technologies (such as AI and gaming) within your emails for your campaign- creation and dissemination goals. (Source: Author’s screenshot)Small businesses and entrepreneurs can often feel at a loss when it comes to email marketing. But the small businesses who are most in need of education when it comes to email, are also often the ones most pressed for time. The Elite Email blog is ideal for those people marketing out of necessity for their business, but who lack time to read some of the more in-depth posts from the email marketing world. The pieces are punchy, concise, and manage to provide all the best tactics a small business would need without being reductive. (Source: Author’s screenshot)Marketo is one of those resources that are difficult to classify?because they do so much. 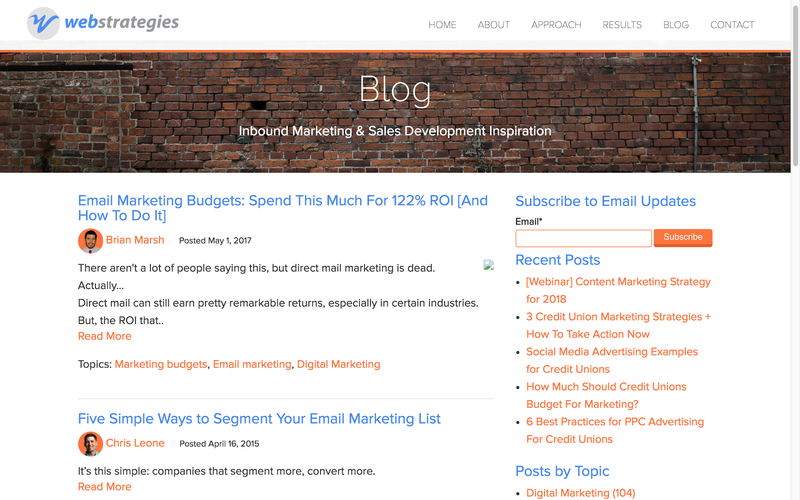 From professional development, to email development, to the latest email-integrations, the blog is a treasure trove of handy tips, tricks, guides, and musings within a variety of topics in the online marketing space. Though it is difficult to give an overview of the topics they cover, this is a great one to bookmark for a weekly check-in as you would an industry magazine, because the writing style is exemplary and the content they provide keeps up with all the latest industry news. 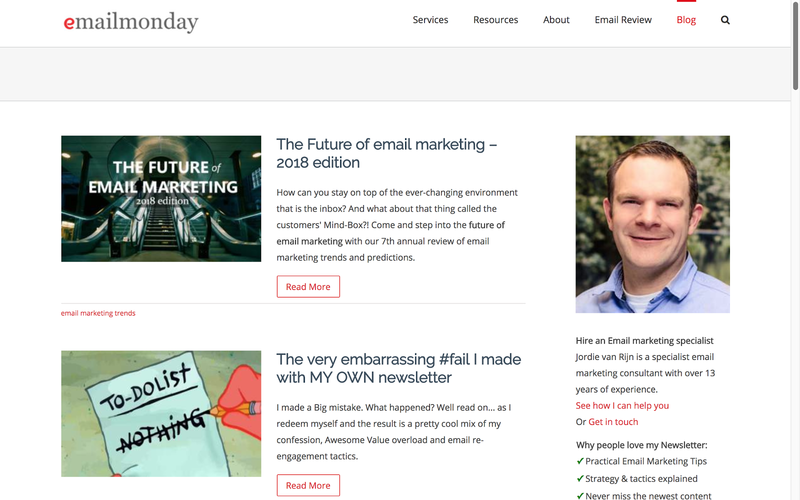 (Source: Author’s screenshot)If ever you could call an email marketing blog ?hipster,? this is it. This is the Russell Brand to the Richard Dawkins? of marketing blogs. It has a great layout, design, and image content, as well as personable writing that gives you everything you need, simply. 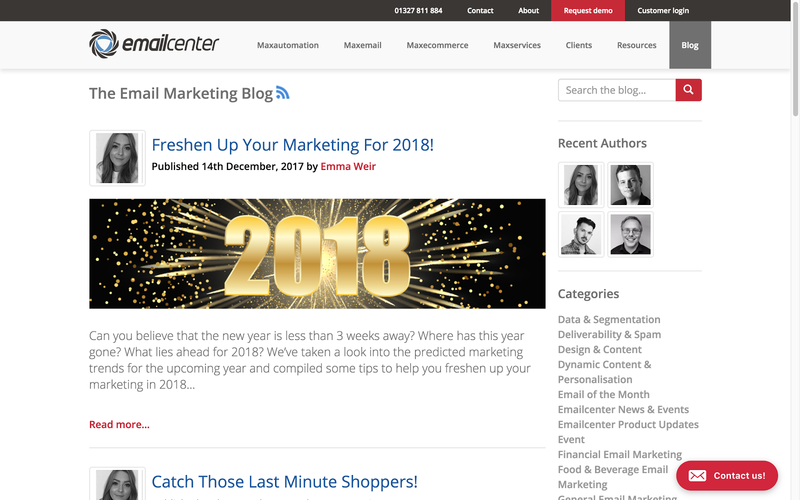 The blog provides useful information for those just starting out with their marketing emails, as well as coders, developers, and professional marketers. Nonetheless, it is geared towards those looking for instructional guides and ?how-to’s as opposed to theoretical discussions of marketing ethics and culture. 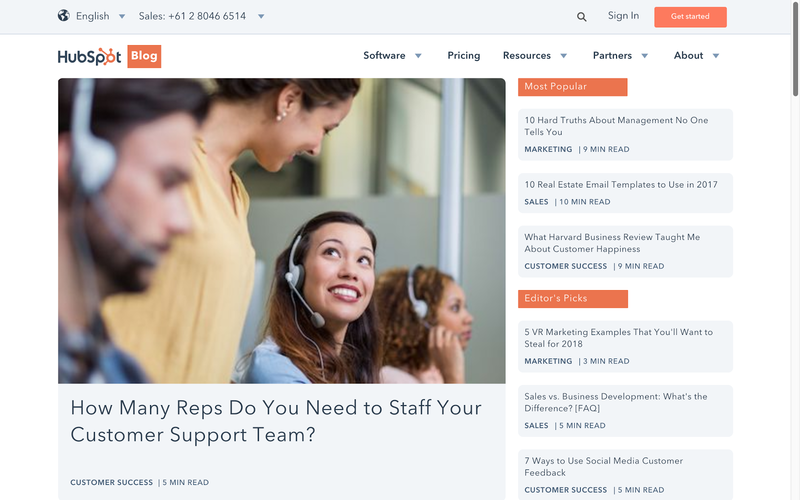 These posts are fun to read while you drink your morning coffee, and can give you great ideas within a short time so you always have something to add to the morning meeting. 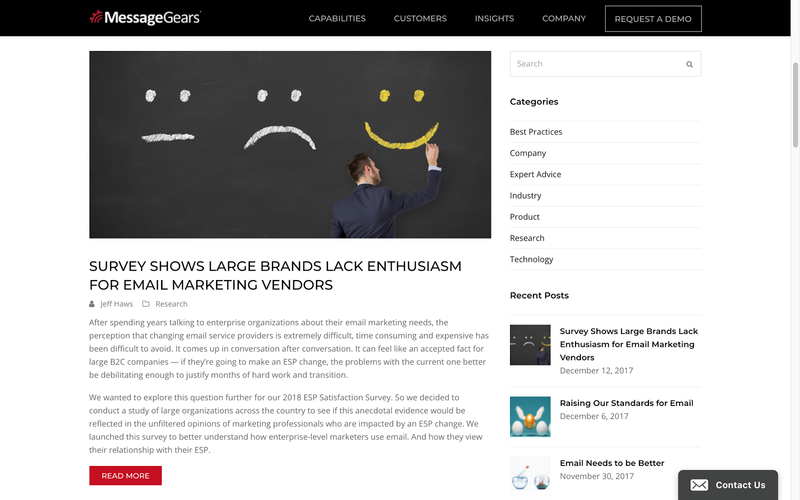 (Source: Author’s screenshot)The MessageGears blog is aimed at the more advanced, business-hardened marketers who have a need to keep up on industry innovations and technologies. In this vein, many of the topics cover industry trends and insights, as opposed to the ?what’s and ?how-to-do’s of email. These posts can be extremely valuable, distilling trends already on people’s? radars but which may not yet have developed accessible and standardized practices for marketing purposes. This is a blog for professional marketers with a high need for current, authoritative innovations and information. (Source: Author’s screenshot)The PostUp blog is your ?go-to? for all the frequently asked questions on contemporary marketers? minds. It has posts on the significance and effectiveness of different marketing streams, what you need to do to implement high-performing strategies, automations, and integrations, and how to create gorgeous emails that get your customers in. 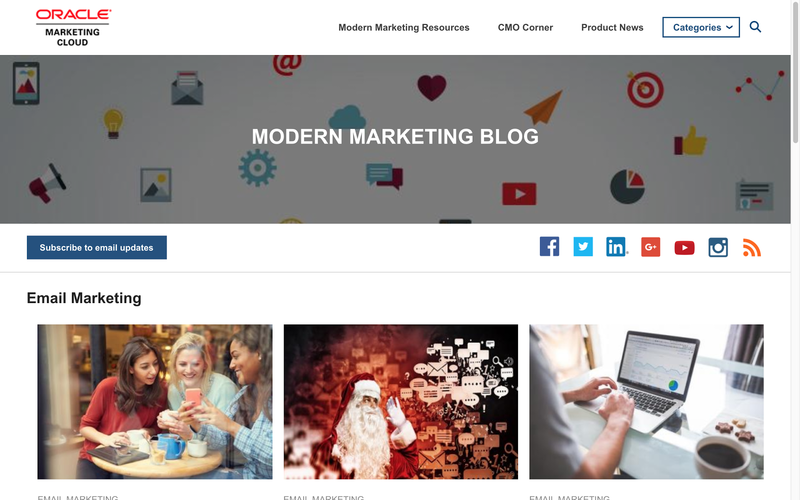 This is a best-practices blog, implemented with an good awareness of what marketers need from a blog of its kind. The content is digestible and concise, with solutions to every ?pain point? that could arise when you are marketing by email. (Source: Author’s screenshot)Though it sounds more like a postal service by Han Solo (galactic entrepreneur), RebelMail is probably the nerdiest blog on this list. Among product updates and other company-specific news, lie rough diamonds for the email designers pushing the limits of interactivity. Forget glossy-looking templates and made-for-you subject lines; here you will discover only code. Developers looking for the technical frameworks for bringing the interactivity and flexibility of the web to email design are in luck. 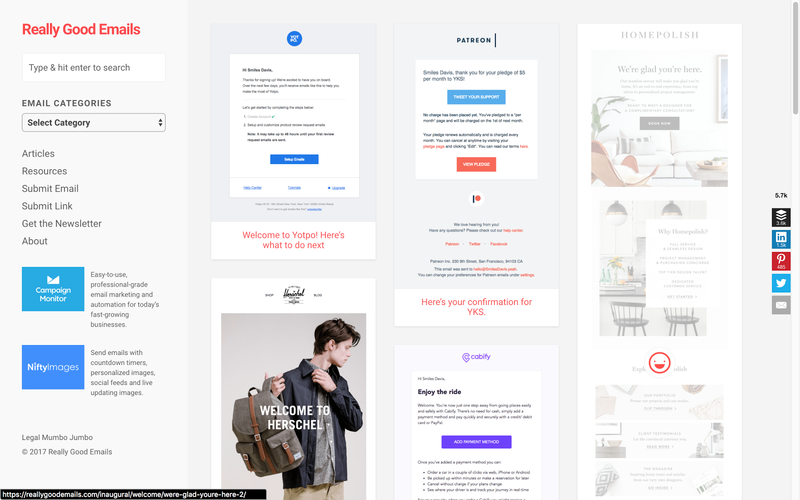 This blog hashes out the concepts, the structures, the best practices, and the code examples to give you the skills you need to create stunning user experiences with your emails. (Source: Author’s screenshot)Phrasee are very good at sharing what they love. Following them gives us a strong impression that the content they create is as enjoyable to write as it is to read. As well as the colloquial, friendly way in which they give voice to valuable information, we also enjoy their pieces that reflect on the marketing community, such as their ?Who to Follow? series and ?Email Marketing Tweets of The Month.? These community-targeted posts show a superb degree of authority on email marketing and digital marketing culture. 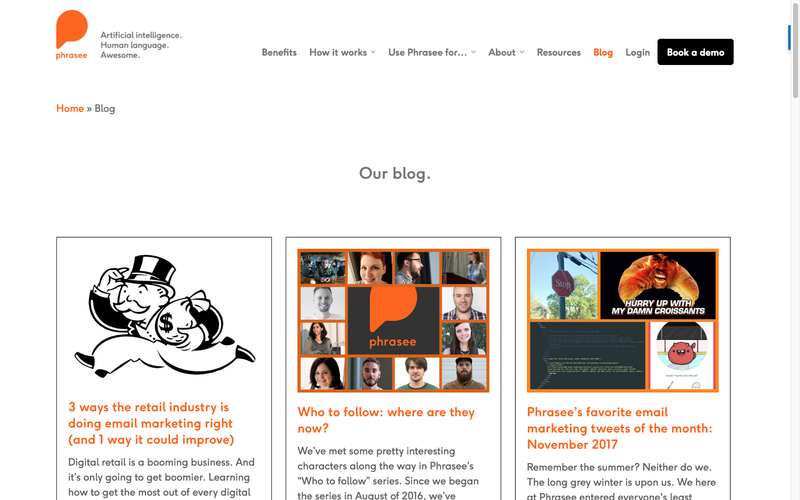 This is a great blog to read for people as passionate about marketing as the authors are at Phrasee. 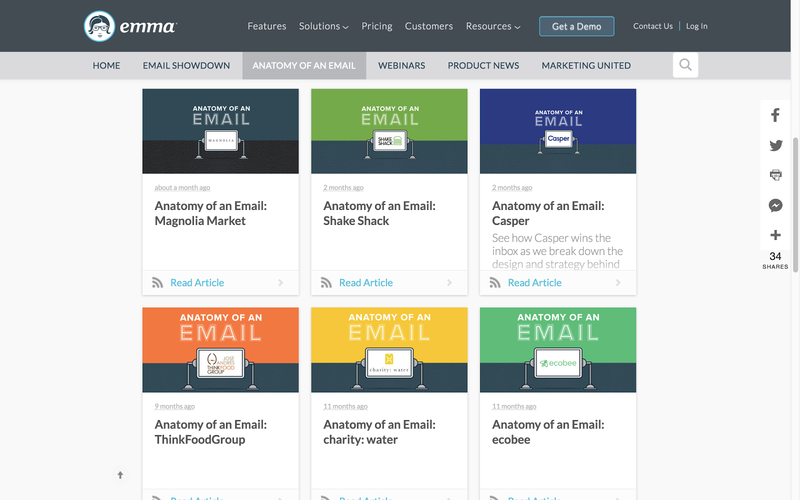 (Source: Author’s screenshot)The Anatomy of an Email series on the MyEmma blog is a one-of-a-kind set of email dissections, fit for even the most surgically-precise designers. Each post features an email campaign by a successful brand, with an infographic explaining the features that work and why. The ease with which these can be flicked through and viewed, means these can also be used as educational tools and examples when you pitch your new campaign ideas to your colleagues. 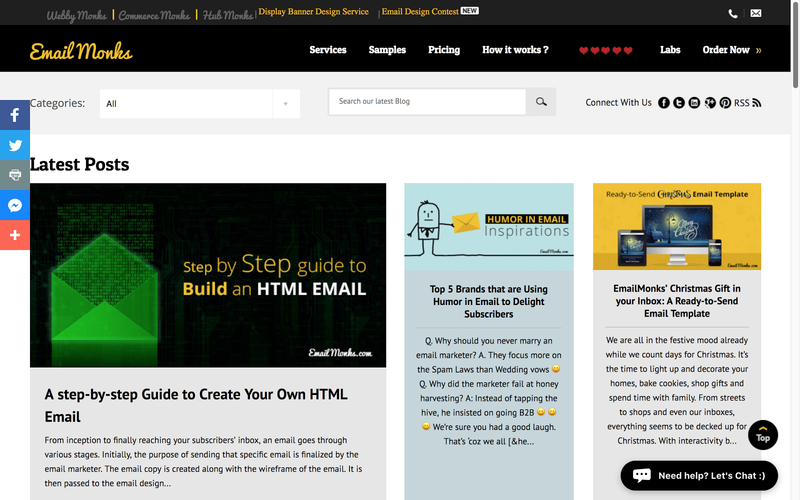 The MyEmma blog also has features and series concerning many other facets of email design, creation, and deployment. This is another one to add to the bookmarks folder for marketers and developers who are looking for inspirational design. 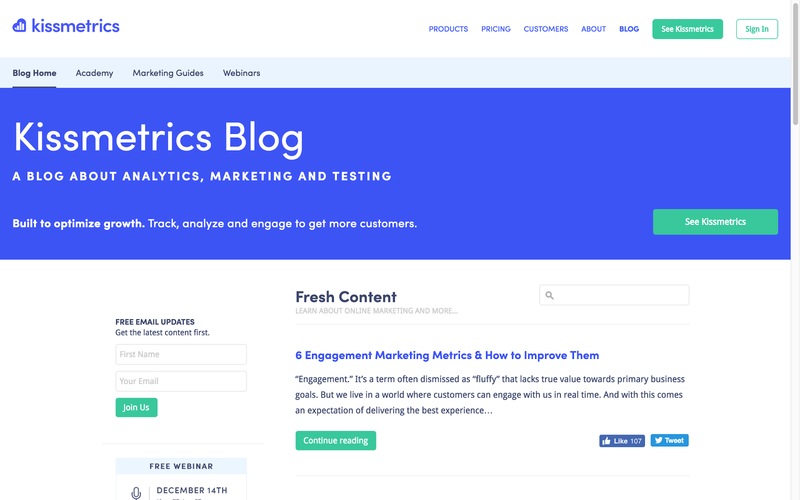 (Source: Author’s screenshot)If you need inject some analytic and data-driven ingenuity into your email marketing pursuits, Kissmetrics is the blog for you. As data-driven marketers themselves, the Kissmetrics team understand better than most how to facilitate marketing optimizations and improvements for data-driven goals. This is a highly valuable asset for B2B content writers, providing a deep level of detail and a bunch of statistics on everything you could think of to do with email. (Source: Author’s screenshot)The Holistic email blog is, well? holistic. It offers simple explanations of complex marketing methodologies that anybody could understand, across a wide range of topics. The Holistic team take a strong customer-centric approach to everything they cover. Posts force us to think more reflectively about how what we do as marketers influences the whole customer journey and experience of a brand. This is a most welcome perspective in an industry in which data-driven goals can sometimes overshadow consideration of real-world customer experience. 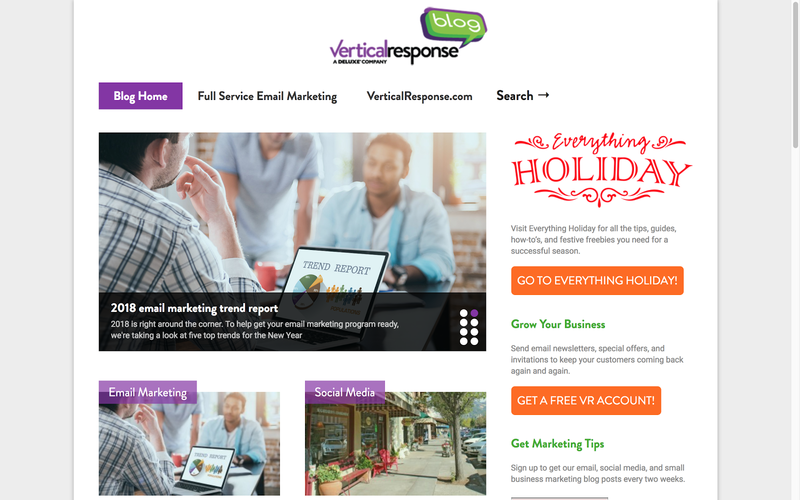 (Source: Author’s screenshot)The VerticalResponse blog is a curated center for email marketing ideas. 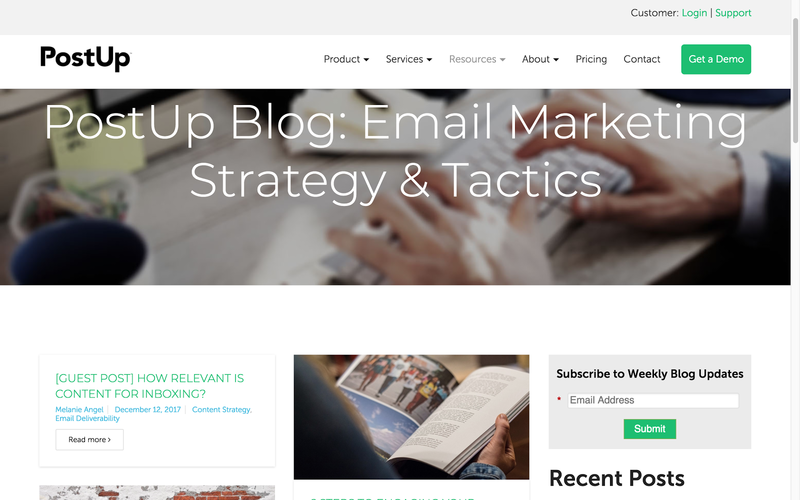 Though the posts on cover all the usual best-practices, they often contain great little creative jewels: subject-lines, landing pages, call-to-actions. If you are looking for novel concepts during your next mental block, check out the blog for some inspiration to get you started. They also do a great job of nailing down some of the key motivations behind some of their strategies, so you can learn through practice as you implement them. This blog offers multiple takeaways for you to produce flexible and creative email campaigns. (Source: Author’s screenshot)Moz is known in the industry for search engine optimization (SEO), but its blog is a thorough resource for all things digital marketing. 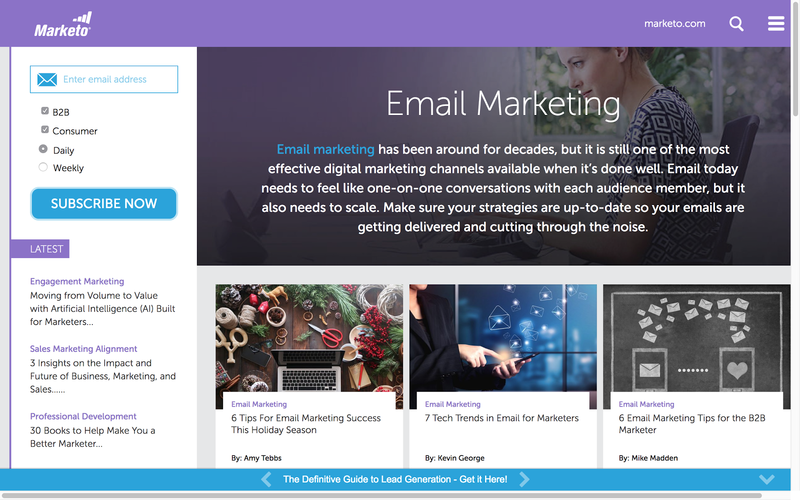 Their Email Marketing category holds some of the most original thoughts on the topic, transformed into easy-read guides for your consumption and use. Many of their posts are strategy-based so there are a lot of actionable tips. 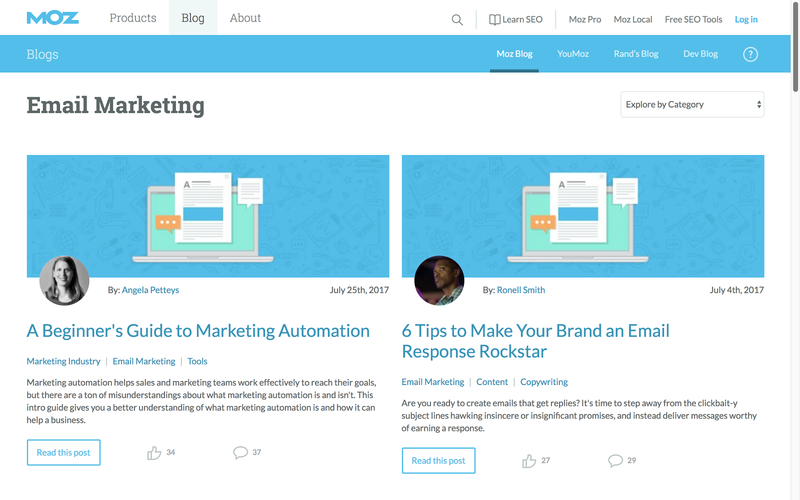 The blog format has a great design and Moz are very good at adding value with their images for demonstrative examples and screenshot-led guides. (Source: Author’s screenshot)The social media magicians over at Buffer publish posts which reflect upon their own strategies and solutions to tell you what works and doesn?t. This gives their posts an infusion of reality that many other email marketing blogs lack. The thoroughness with which they deliver this reality boost is impressive? they are packed full of statistics to boot. If you are looking for in-depth guides to crafting systematically planned email campaigns that work, look no further. (Source: Author’s screenshot)It is difficult to achieve the personability of a lifestyle or hobby blog within a business setting. Email Center does just this. A traditional format with prominent images of authors displayed for each post, works. This is why this blog format is so popular. The blog’s friendly, conversational tone puts you at ease and shows that these people know what they are doing and do not need to bolster their authority through linguistic posturing. You will find tons of techniques to tailor to your own winning email campaigns, which reflect Email Center‘s distinct appreciation for a more friendly and personalized tone. 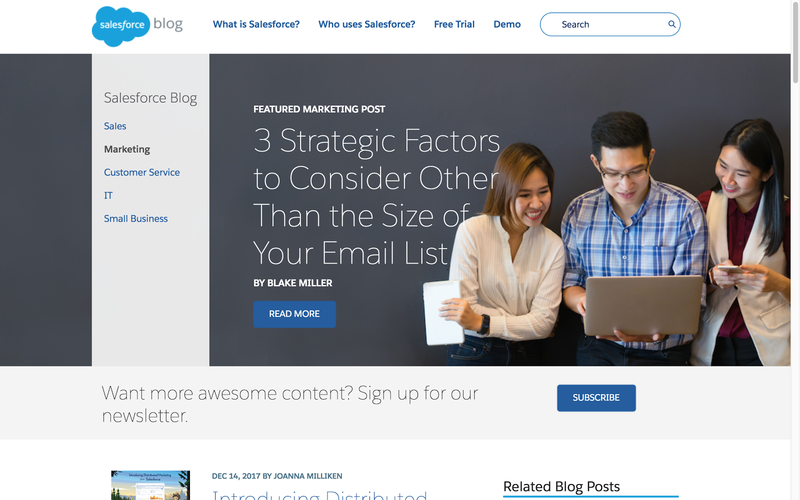 (Source: Author’s screenshot)For marketing news and methodologies, the SalesForce blog is a trusty steed. Posts are written stylistically and clearly but cover a lot of information. This makes them enjoyable as well as effective at getting to the core of contemporary marketing issues and challenges. They cover all the bases you would expect from a blog of this size’strategy, news, updates, and research. The blog often takes a particular focus on customer experience, though neither is it lacking for insights on data-driven marketing and technical integrations. 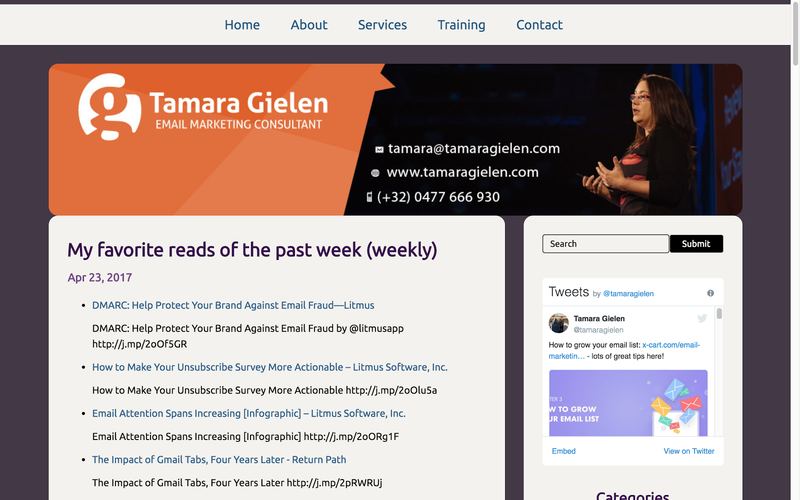 (Source: Author’s screenshot)Tamara Gielen posts weekly lists of her favorite posts and articles surrounding the topic of B2B email marketing. These weekly reading lists are not just useful for B2B. Often they concern tips, case studies, or anything else concerning email marketing in general. If you are a B2B marketer, you will not only find great, relevant email marketing reading lists but rare personal insights from Tamara on email marketing specifically for B2B. The lack of B2B-specific blogs within this sector makes this blog a rare and welcome find. (Source: Author’s screenshot)This is a blog written by expert inbound marketers. 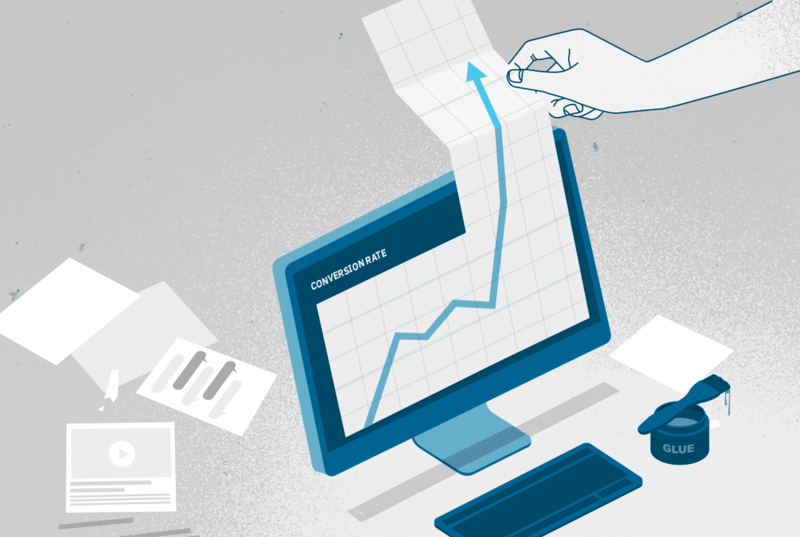 Their content on email follows a familiar theme: actionable guides to improve customer engagement, grow your reach, and increase returns on your campaign investments (ROI). The copy flows well and a mixture of long and short posts means you can always discover something to fit in with your time. There is some fantastic wisdom to be found here to inject your campaigns with a customer-centric lease of life. (Source: Author’s screenshot)It is no easy thing to put an individual slant on email marketing advice. You need to convey the information to your reader in the clearest way possible. Creative perspectives are low down on the list of priorities, though typically a degree of individuality can be injected through linguistic tone. 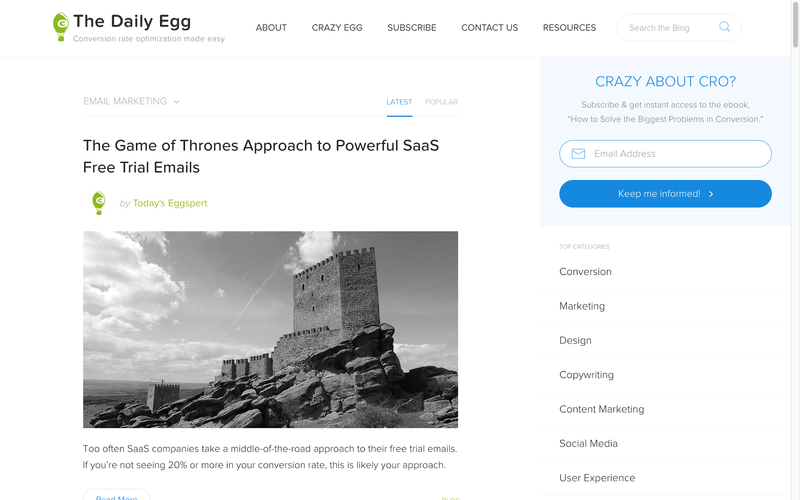 This blog is jam-packed with metaphorical, often narrative, and reflective takes on common practices for email optimization and design. Beautiful images and screenshots are of a higher standard than most, and the ability to browse the image gallery for each post by itself, is a helpful feature not often seen on blogs of this type. This is an essential read for anyone who wants step-by-step ?how to? optimizations for their email marketing output. But for anyone who ever writes marketing copy, it is a masterclass in style.